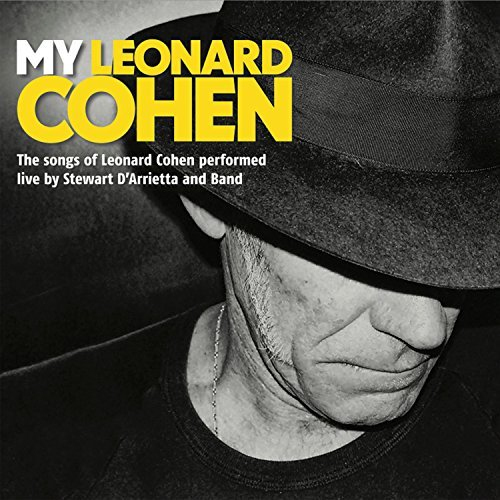 Stewart d'Arrietta (Australia) sings 19 Cohen songs on this live album. It's available for download only (from Amazon), and it seems to be on Spotify, too. Having enjoyed a sold-out run at the Sydney Opera House and an acclaimed Edinburgh Fringe season in 2017, Stewart D’Arrietta and his band are taking My Leonard Cohen on a tour of New South Wales this May. Driven by D’Arrietta’s raw and distinctive vocal style, this stirring celebration offers arresting and imaginative interpretations of the great singer-songwriter’s most powerful works. Poetic anecdotes, punctuated with D’Arrietta’s trademark laconic humour, offer a narrative frame by which the audience can contemplate the life of one of the world’s most enigmatic songwriters. This is Cohen’s music as you’ve never heard it before. D’Arrietta has enjoyed rave reviews and performed internationally, including at Montreal Jazz Festival, The Riverside Theatre London, EX Theatre Tokyo and The Soho Playhouse New York. Credits include Belly of a Drunken Piano (a Tom Waits homage), Feeling Randy (Randy Newman), Satango and Tuxedo and the Little Black Dress. This is a rare opportunity to catch a prolific Australian performer, composer and musical director in the UK.